Download, unzip the ADT Bundle for Windows and you are ready to go! 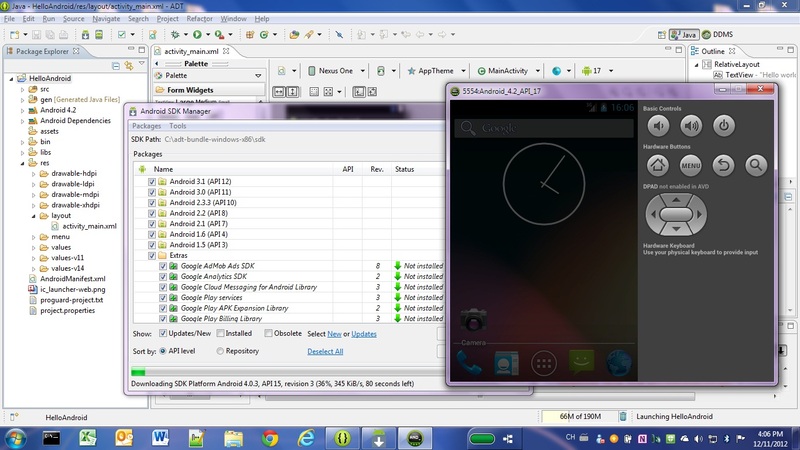 The new adt-bundle-windows (and linix) have the API 17 SDK in platforms\android-4.2 instead of platforms\android-17. However, all the other SDK still download in the the named folders “android-“+apiLevel. TFS 2012 requires basic authentication be protected by HTTPS. Android: failed to find style ‘mapviewstyle’ in current theme? In public.xml, check the mapViewStyle’s definition and id value. In styles.xml, insert ‘mapViewStyle’ item element as shown below. What’s the difference between “JDK” and “JRE”?